The first Rounders England Board Meeting of 2019 has been and gone, with exciting agenda topics including competition, membership, governance and finance discussed. The Board had the pleasure of welcoming the first ever ‘Empty Chair’ attendee, Claire Priestley-O’Keeffe (Ossett Rounders Club). 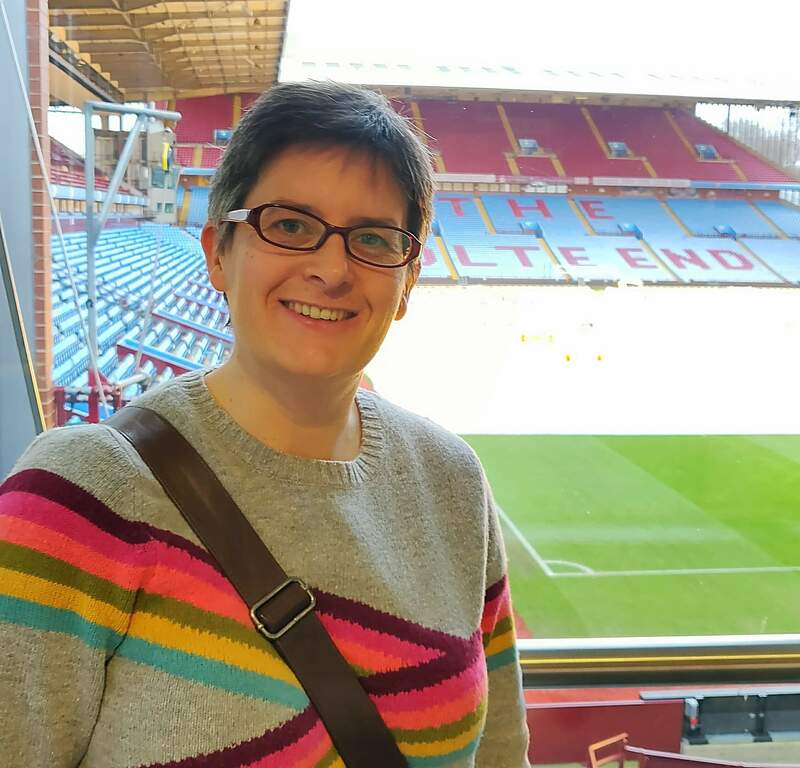 We caught up with Claire to find out how her ‘Empty Chair’ experience went, how many Board members it takes to fold away a pop up banner and if she managed to get those ‘take away’ biscuits. The meeting was held at Aston Villa Football Club in one of the executive boxes, which was a bit snug, but quite a novelty! In the meeting, I met Katherine Knight, who is the new Chair of the board. It was her first board meeting (so there were 2 new faces in the room that day), Alison Howard (CEO of Rounders England), Richard Flint (Senior Independent Board Member), Dawn Wesson (Independent Treasurer), Georgina Crossman (Elected Vice Chair – who ran the proceedings for the meeting), Kate Halfpenny (Elected Board Member), Ali Smith (Elected Board Member) and Jenny Hudson, who took the minutes of the meeting. It was lovely to meet them all, and they were really friendly and welcoming. The meeting started with a welcome to the new Chair, Katherine Knight, and myself, with a couple of other formal business items. We then moved on to the standing agenda items, updated and discussed at each meeting. I was then invited to give a presentation and discussion – it was a little bit scary and I hoped it was in line with what they were expecting! It was great to be able to have a say in the meeting and offer my viewpoint on matters pertinent to my own involvement in playing Rounders. 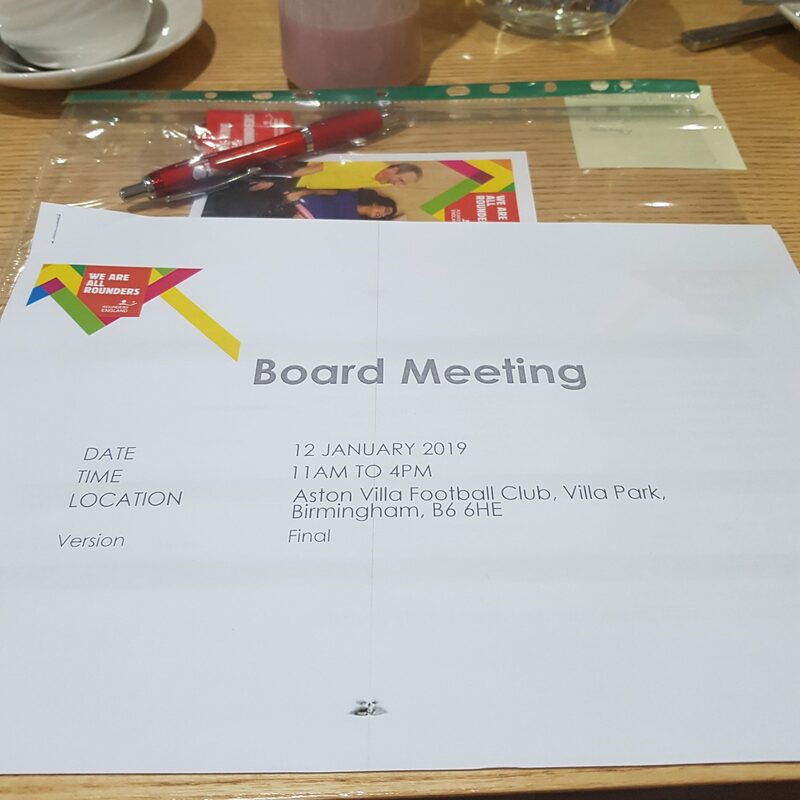 I shared with the board my experience of the challenges and positives I have encountered by being part of a community club, providing a “club for all”, whilst trying to satisfy all members’ “needs” from the club. It was well received and it was remarked that it was good for the Board to hear the views of people actually playing Rounders. We then moved on to discuss finance, staffing, governance, and Sport England and the progress with the commercial consultancy programme. The remaining items were based on sub-committees and committees within Rounders England, and a review of what was discussed at their meetings; commercial and business subcommittee, customers subcommittee, profile subcommittee, nominations committee and audit committee. The meeting closed, as usual, with any other business to be discussed. The agenda topics were as I expected, some were definitely more interesting than others. I don’t know if I’m able to share exciting news?! You’ll have to wait and see! I was shocked to discover that there are actually only 2 “clubs” registered with Rounders England and that all the others are classed as “teams”, playing in leagues. I had assumed that there were lots of clubs operating as we (Ossett Rounders Club) do; playing and training socially between ourselves, with a team to play in external leagues for those players who want to. Having attended the meeting I don’t think my views on Rounders England have changed. It was interesting to see the sport I play at grassroots being discussed at such a high level and reassuring to know there are people involved with strong interests in ensuring the future of the sport is positive and constructive. 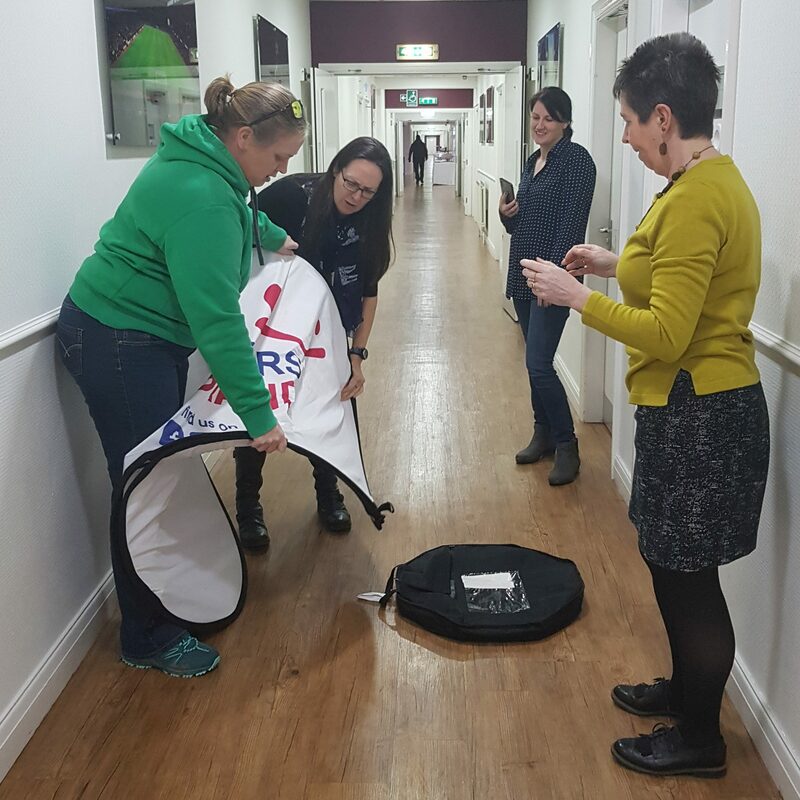 The most important question of the day was, however “how many board members does it take to fold away the Rounders England banner?” The answer was 4 + Jenny! Kate & George had a go, with Jenny helping out, Dawn standing on the sideline offering suggestions, and Ali filmed the whole debacle!